Ah, Blu-Ray, your mysteries are manifold. Your high-resolution video promises to tickle our media bones and your extras – oh the extras – will warm us through those long winter nights. Then, when we’re good and ready to watch a heavy-duty Blu-Ray disk on our PCs, Sony’s got us covered, right? Right? Wrong. 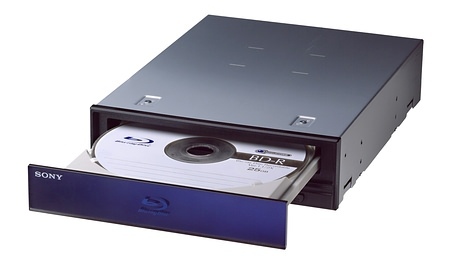 Sony’s first PC Blu-Ray drive, the BWU-100A, won’t play commercial Blu-Ray movies. CNET took a meeting with the Sony ninjas and the team mentioned that since no PCs could decrypt High-Bandwidth Digitial Content Protection (HDCP) and PCs with HDMI – the standard hi-def video output format – were extremely rare and that the current crop of Blu-Ray decoding software was non-existant at best, then Blu-Ray on the PC was a while away. That doesn’t mean that you can’t enjoy Blu-Ray disks on the PC. They make wonderful, shiny coasters and, when broken, can be used to shiv your roommates. Is this knee-jerk anger at a minor tech glitch at one of the world’s premiere tech companies? Sure, but Sony had a few decades to work this out. For this to be an issue, especially with the holiday buying season upon us, makes me weep for the format. I’ve been very bullish on Blu-Ray, but things are getting weird over in Mylo-land.